NoMad-based jazz venue The Jazz Gallery continues its new mentoring series this week. The program pairs young and emerging artists with more established and experienced artists. The seasoned artist acts as a mentor to the younger musician, providing feedback on his or her performance, compositional and improvisational skills, as well as providing business and career advice. Each mentorship culminates in a run of shows in which the pair performs together. 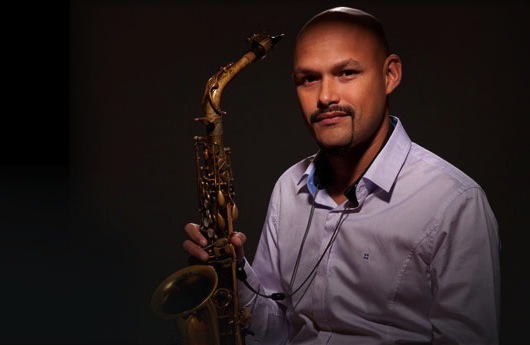 This Thursday, The Jazz Gallery features alto saxophonist Miguel Zenon paired with up-and-coming tenor saxophonist Mario Castro. Zenon is best known as a prolific bandleader, releasing eight albums over the past twelve years, but he has also worked as a sideman for a number of jazz greats: David Sanchez, Charlie Haden, Jason Lindner and Jeff Ballard, among others. The young bandleader Mario Castro has already been making a name for himself, performing with the likes of Dave Liebman and leading his own quintet in performances at The Newport, Montreal and Toronto Jazz Festivals. The duo will take the stage this Thursday for two sets: one at 9 p.m. and the other at 11 p.m. They will be joined by Ricky Rodriguez on bass and Henry Cole on drums. The quartet will give repeat performances on July 17th, August 7th and August 14th.